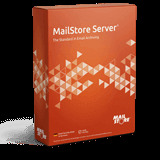 Although MailStore Server can be used right out of the box in most cases, companies should consider the solution within the context of their existing IT infrastructure and implement a short planning phase. For further information, please consult our Mailstore Server Help. Please also take the opportunity to contact our technical support team to discuss your individual scenario.